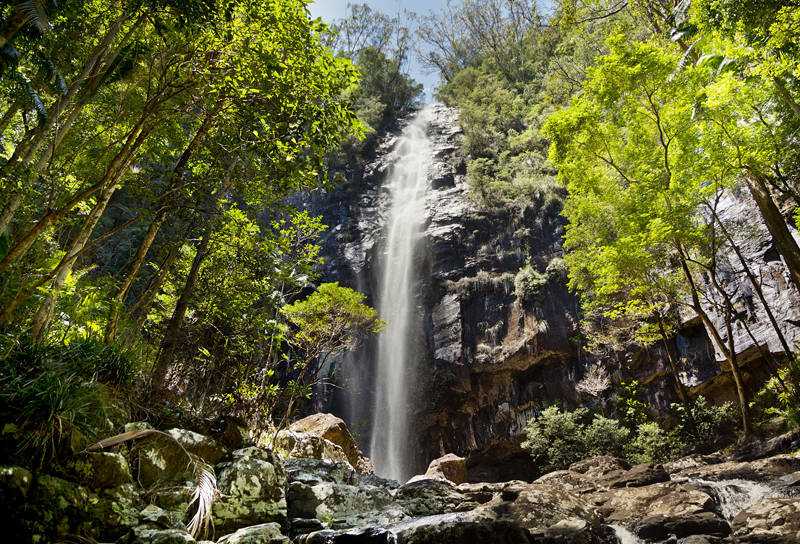 This is Protesters Falls in New South Wales. It is an enchanting pocket of ancient Gondwanan rainforest. Through a fluke of tectonics, these world heritage sites preserve species which existed when dinosaurs roamed the earth. The waterfalls were named after the first successful anti-logging action in 1979. The area is still the centre of counter-culture in Australia and is home to some of the most colourful people, places and festivals.